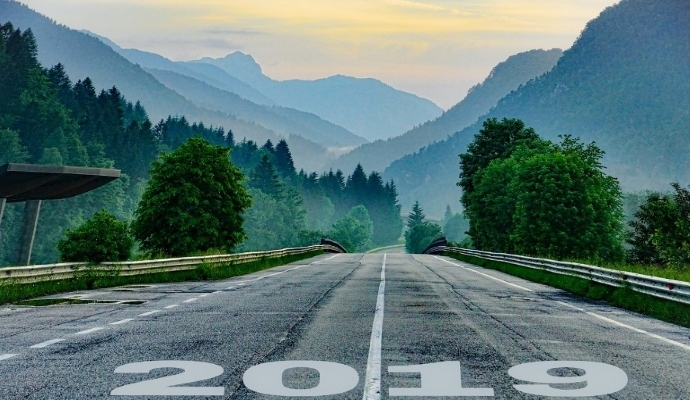 Home » Blog » Finance » What lies ahead in 2019? It could shape up to be one of the most interesting years in global markets for a long time. See below an overview on 2018 and my outlook for 2019. 2. a more neutral interest rate policy by the US Federal Reserve. Based on recent opinion polls, Labor has a good chance of ousting the Liberals in the May 2019 Federal Election. This has intensified the examination of some of the ALP policies and their possible impacts eg. getting rid of dividend franking credits, limiting private health insurance increases and negative gearing for real estate. Lower than anticipated economic growth and the possibility of global trade slowing down thanks to US trade tariffs, had the Reserve Bank of Australia (RBA) maintain interest rates at their all-time low of 1.5%. Based on tighter lending standards by banks and consumers focus on repaying down debt, property is likely to continue falling by at least another 10% . Australia has an exceptional record of 27 years without recession. A slowdown in capital expenditure, construction and the housing sector were major factors in Australian economic growth being down from 3.1% in 2017 to 2.8%. The inflation rate is at 1.8% just below the target range of between 2%- 3%. This is another reason for the RBA’s decision to maintain the record low cash rate at 1.5%. The forecast for interest rates looks like it will remain steady for the next year. In 2019, I expect the US share market to reflect slowing economic growth and earnings expectations. A lot will depend on the outcome of US/China trade negotiations and the initial positive influence from US tax cuts will lessen. Following the severe 20% correction in the US market from October to late December and 10% market rebound over the past 3 weeks, I think it’s very likely market volatility will continue to remain high during 2019. I personally look for individual stocks in sectors that are grossly under-valued but have excellent earnings growth that will outperform the average. Example: Ramelius, a gold producer, was on a PE of 4 times when I first purchased the stock at 11c. Twelve months later, the stock was 61c – a return of 450%. BlueScope Steel Ltd (BSL) – is a flat steel producer and supplier of steel products and solutions focused on the global building and construction markets. It operates in Australia, North America, China, Indonesia, India, Vietnam, Malaysia, and Thailand. BSL has made impressive earnings growth over the past 2 years and this is expected to continue in 2019 and beyond. The stock has fallen from a high of $19 in July 2017 to a recent low of $10.60 in late Dec. It is now trading on a low earnings multiple of just 8 times with an average Return on Equity (ROE) of 17%. I am expecting a good technical rebound or move back up in the share price during 2019. Sonic Healthcare (SHL) – an Australian company that provides laboratory services, pathology, and radiology services. The Sydney-based company has its roots in the pathology practice of Douglass Laboratories, and since has become one of the largest diagnostic companies. It is the world’s third largest pathology provider with significant operations in the USA, United Kingdom, Germany, Switzerland, Belgium, Australia and New Zealand. A continuing long term demand for pathology services, means the group has further international expansion opportunities. 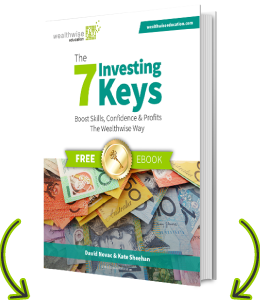 Please talk to us about ‘Invest for Success’ +61.2.9488.9900.